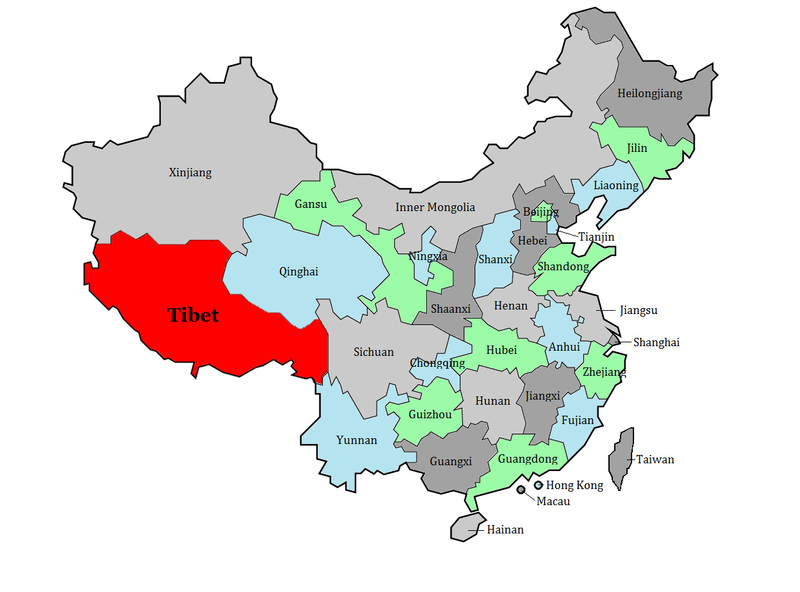 Roughly the size of South Africa, the Tibet Autonomous Region spans an area of over 1.2 million sq km. Often called ‘the roof of the world’, Tibet is located in the center of the Qinghai-Tibetan Plateau, above which rises the Himalayas and Mount Everest. The Tibetan Plateau is the largest and highest plateau in the world. Tibet is bordered by the Uyghur Autonomous Region of Xinjiang in the north, Qinghai and Sichuan to the east, Yunnan to the southeast, Myanmar, India, Bhutan, and Nepal to the south; and the disputed Kashmir region to the west. Tibet’s capital city is Lhasa. Tibet’s History is millennia old. Ruins in eastern Tibet show evidence of human habitation dating back over 4,000 years. According to Tibetan legend, the Tibetan people first came from the mating of a monkey and a female demon. 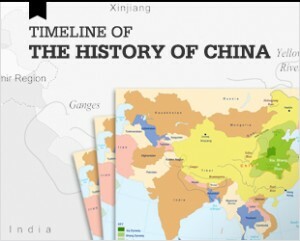 Recorded history in Tibet began in the 7th century when Tibet became a great Central Asian military power, controlling much of Nepal, Yunnan, parts of Xinjiang including Kashgar and the Silk Road. Tibet’s power waned after the 9th century when the empire dissolved into rival kingdoms. Buddhism first came to Tibet in the 7th century, mixing with Tibet’s native Bon religion to form a completely new sect of the faith; prayer flags, prayer wheels, pilgrimage circuits and the identity of sacred landscapes all had their origins in Tibet’s original Bon beliefs. Buddhism’s pacifist teaching meant that once the empire dissolved, Tibet never again amassed strong national armies that either effectively invaded other territory or even defended their own land. Tibet’s 9-13th centuries were instead characterized by the growing power of monasteries and their competition with each other for power and for religious authority. In the 13th century, the Tibetans submitted to Genghis Khan to avert an invasion, and Tibet became part of the Mongol empire that also now controlled China under the Yuan Dynasty. Ghengis’ grandson Kublai Khan appointed a Tibetan lama as his personal religious advisor, giving Tibet a special place within the Yuan Dynasty. During this time, politics and religion in Tibet became inextricably interwoven. When the Yuan Dynasty collapsed in mid-14th century, Tibet regained its independence. The subsequent 80 years was a period of Buddhist scholarship, art proliferation and monastic expansion until peace was once again disrupted by periodic in-fighting amongst rival Tibetan monasteries and princes, fragmenting political power among the rivals. By the end of the 16th century the Mongol-Tibet patron-religious advisor relationship was renewed and the title Dalai Lama – Ocean of Wisdom- came in use. The Dalai Lama is believed to be the physical incarnation of the spiritual emanation of the bodhisattva Avalokiteshvara, and the mythic monkey demon who is father to all Tibetans. The Dalai Lama’s line of succession is continued by the identification of a child, born soon after the Dalai Lama’s demise, in whom the soul of the last Dalai Lama is now living. Tibet’s current Dalai Lama is the fourteenth in this line. Tibet was again politically unified in 1642, and Lhasa became the spiritual and political head of the country; at this time, Potala Palace was constructed. In 1652 Tibet’s fifth Dalai Lama travelled to Beijing to meet with the Qing Dynasty’s emperor Shunzhi who recognized him as Dalai Lama and who gave to him a golden seal; the newly formed Qing Dynasty wanted good relations with the Dalai Lama because of his importance to the Mongols who continued to be a threat to China’s northern border. By the early 1700s, renewed in-fighting between Tibetan factions caused the Qing court to send troops to China to drive out the opportunistic Mongols who tried to take advantage of Tibet’s political weakness. A small garrison of Chinese troops remained in Tibet, active only when Tibetan civil strife compelled them to restore order and to keep Nepalese and Mongol aggression at bay. In this way, China thus viewed Tibet in a relationship of suzerainty where Tibet was by and large allowed to manage its internal affairs, but where China took control of its international relations and its defense. As the Qing Dynasty declined at the approach of the 20th century, Tibet became increasingly independent from China, but its isolation from the world continued, as did its economic stagnation. Most Tibetans lived a difficult life, many in service to the wealthy monasteries which were more concerned with Buddhist ritual then they were the development of Tibet or its people. When the Qing fell in 1911, Tibetans expelled the Chinese from their land, and began acting as a de facto independent government. In 1913, Tibet and Mongolia signed a treaty of mutual recognition. Tibet also periodically battled Chinese warlords for power in the ethnically Tibetan areas in Xikang and Qinghai. In 1950, Chinese Communist soldiers once again invaded Tibet in the spirit of ‘liberation’. In 1951 Tibet had no choice but to sign a treaty with Beijing which gave Tibet cultural and religious autonomy, and which gave China the right to set up a civil and military headquarters in Lhasa. 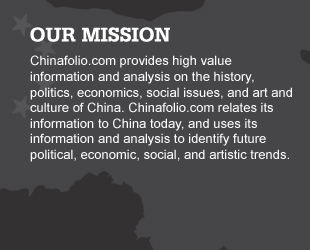 China subsequently repudiated the agreement and began putting into effect political and social reforms. Tibetan resentment of the Chinese in their homeland caused an uprising which by 1959 forced the Dalai Lama and most of his ministers to flee to India where they remain today. China’s 1966-1976 Cultural Revolution caused much destruction to 6,000 of Tibet’s historic monasteries, and increased Tibetan resentment of China’s influence over their land. That said, since the 1950s, China has invested heavily in the region, building infrastructure, and significantly increasing the standard of living of many Tibetan people. They have also encouraged steady Han migration into the area. Today, Tibet’s incorporation into China continues to be highly controversial both within Tibet and worldwide. Many Tibetans and Westerners still view China’s 1950 ‘liberation’ of Tibet to be an invasion of a sovereign country, while the Chinese have viewed Tibet to be a rightful part of China for centuries; the Chinese believe that their 1950 reassertion of control in Tibet served to remove the repressive regime which kept much of the population in virtual serfdom. Since 2008, Tibet has again gone through another period of civil disturbance as some Tibetans are again protesting the marginalization of their culture and traditions. Many also feel they are being pushed aside economically and politically, with most of the best jobs and political posts now going to the Han. Tibet has a population of only 3.2 million people, and a population density of roughly 2 people per square kilometer, making it one of the least densely populated places in all of China. 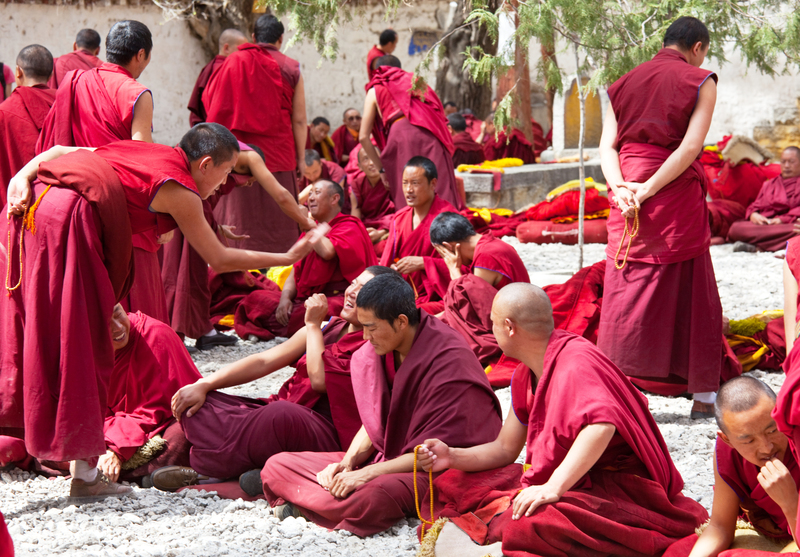 Almost 93% of these people are ethnically Tibetans; about 6% are Han. Since 1980, as part of its Western Development policies, China has encouraged Han migration into Tibet, offering bonuses and preferred living conditions. This migration has been aided by the 2006 completion of the $3.68 billion Qinghai-Tibet Railway, the world’s highest railway. It has also been spurred by Beijing’s large infrastructure investment in the region, which has generated many construction jobs as roads, other basic infrastructure, and Tibet’s hydro-capacity have all been expanded. 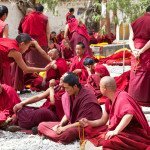 It is now estimated that as much as 60% of the population of Lhasa is Han. Before 1950, Tibet had almost no modern industry or infrastructure. Due to Beijing’s large investment in the region over the last decades, Tibet’s economy has seen rapid expansion. In 2014, its GDP reached $15 billion, up from $1.47 billion in 2000. The development of Tibet’s mining, construction materials and construction industries have largely driven this growth. Tibet has substantial reserves of borax, radium, iron, titanium, lead, arsenic, copper, graphite, iron ore, chromite, lithium, lead, zinc, and manganese. 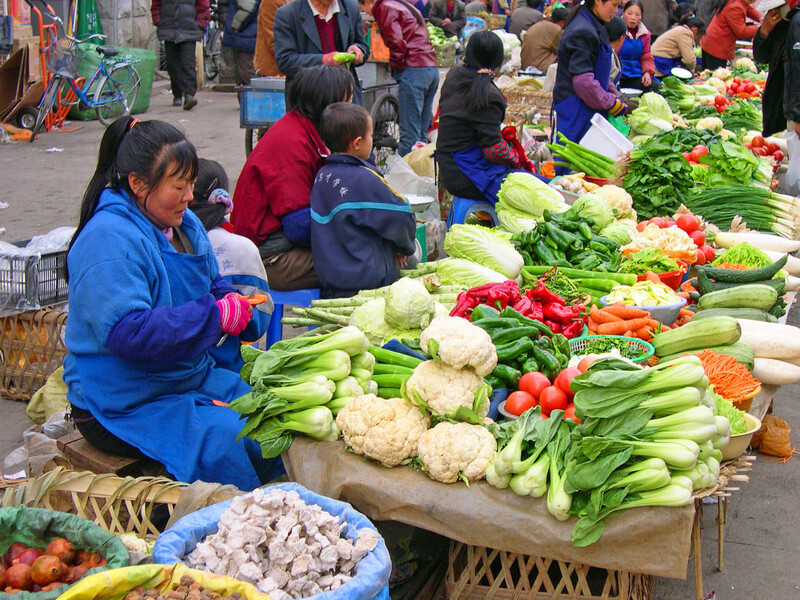 Historically, Tibet’s economy has been based on subsidence agriculture and herding, and today, agriculture and herding remain an important pillar of the Tibetan economy. The main crops grown are barley, buckwheat, rye, rice, wheat, potatoes, corn, pulses, millet, beans, hemp and mustard. The use of greenhouses to farm fruits, vegetables and flowers is also growing. The main animals raised include yaks, horses, mules, donkeys, goats, cows, sheep, pigs, and chickens. Light industries such as the production of clothing, jewelry, quilts, fabrics, carpets, and wooden items also drive the economy as does the sale of traditional Tibetan medicines and caterpillar fungus. Tibet’s service sector has also seen expansion. 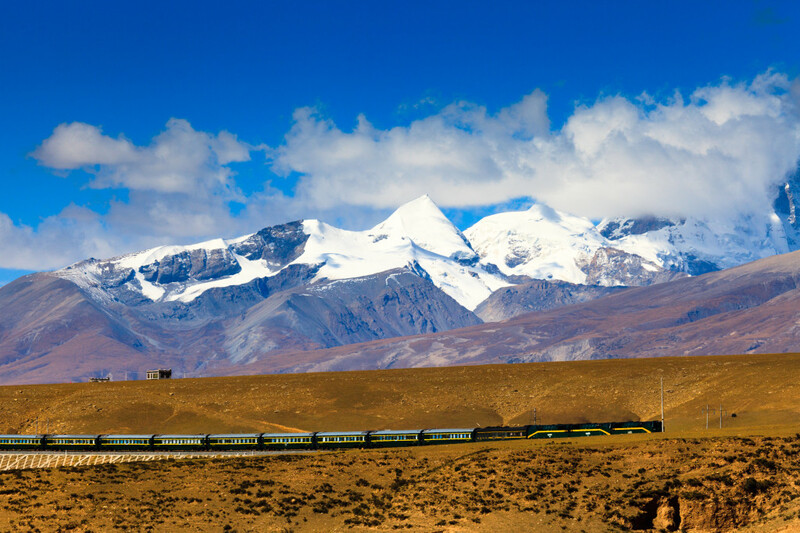 Due in part to the Qinghai-Tibet railway, tourism has risen rapidly. Museums are being developed and historical sites, many of which were damaged during the Cultural Revolution, are being renovated. Tibet’s land is made up of high-plateau mountains, lakes, and rivers. The province has an average height of 4000m above sea level, but can soar to altitudes of 6000-7000m; indeed Mount Everest, the tallest mountain in the world, sits on the Tibet-Nepal border. Geographers tend to divide Tibet into two physiographic regions: the ‘lake region’ located in the west and northwest, and the ‘river region’, which expands west, south, and east from the lake area. 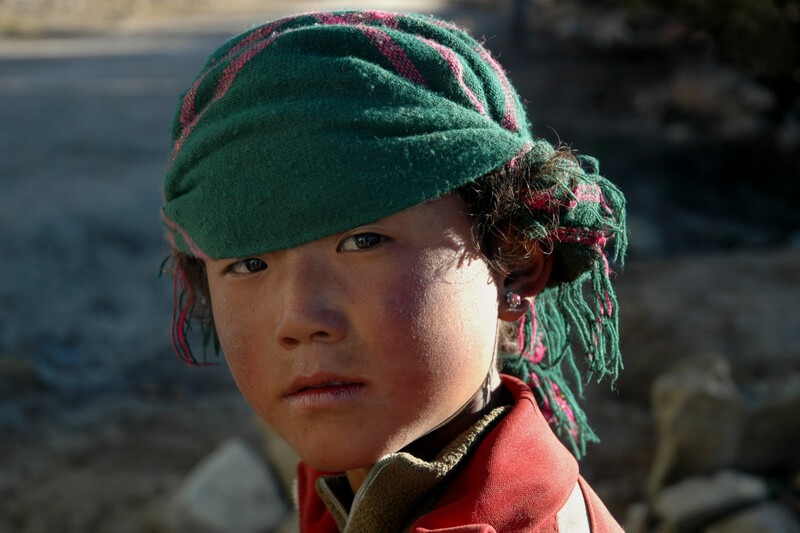 Tibetans of the lake region tend to be herders while those living by the rivers are farmers. The lake region covers an area of roughly equal to the size of France. Due to its being surrounded by high mountains causing rain shadows, it has dry, high plateau climate with an annual rain fall of around 100 ml. The area is dotted with over 1500 salt and sweet water lakes which are intersected by streams. The lake region is known for its hot springs. During the winter months, the cold can become so intense that these nearly boiling water springs can freeze even as they are bubbling up from the ground. 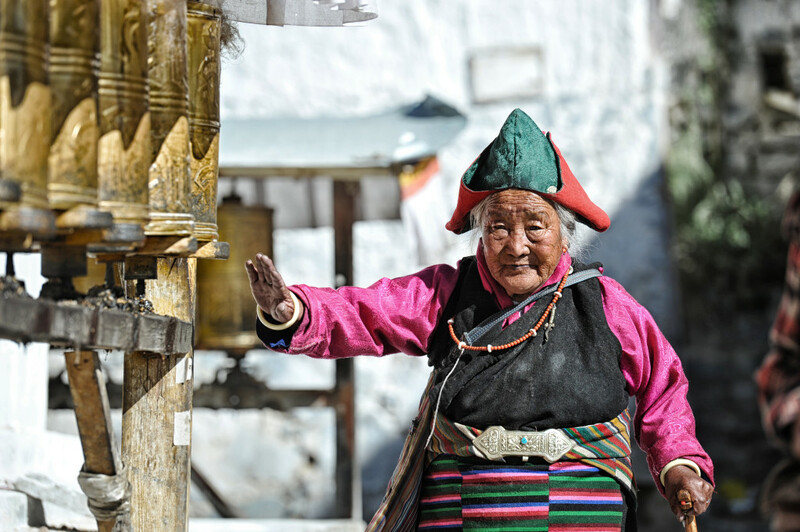 About a quarter of Tibetans still make their lives in this high plateau following nomadic customs that have been unchanged for hundreds of years. Their animals – mainly, sheep, goat and dzo (a cross between a yak and a domesticated cow) – are adapted to this high altitude by having larger lungs and higher hemoglobin levels compared to animals living at lower levels. The Tibetan people consider many of their lakes holy. Their pilgrimage to the lake represents to many of them the journey from ignorance to enlightenment; they believe that circling the lakes can cleanse them of their sins. Because of this, it is not uncommon to see Tibetans circling lakes throughout the year. For instance, Tibet’s Lake Manasarovar, meaning ‘the Immortal Lake of Jade’, is considered by many Tibetans to be one of its most sacred Lakes; many travel great distances to make the 60 km circle around its shores and to bathe in its waters. Lake Manasarovar is also the source of Indus, Sutlej, Karnali and the Brahmaputra rivers. Tibet’s Lake Namtso, meaning “Heavenly Lake” is the highest salt water lake in the world and the largest in Tibet. There are four monasteries at the Lake’s north, south, west and east points. Lake Namtso is said to have birthed the Nyainqêntanglha Peak, the highest peak of Nyenchen Tanglha Mountains. The remaining three-quarters of the Tibetan population is concentrated in the river region of the south. The river region is characterized by fertile mountain valleys through which flow Tibet’s many rivers including the Yarlung Tsangpo River – the upper course of the Brahmaputra – and its major tributary, the Nyang River, the Salween, the Yangtze, the Mekong, and the Yellow River. The Yarlung Tsangpo Canyon, formed by a horseshoe bend in the river where it flows around Namcha Barwa, is the deepest, and possibly longest canyon in the world.The canyon is deemed to be one of the two largest concentrations of potential hydro-power on Earth, and damming the river to exploit this river energy has long been a dream of China’s hydro-engineers. The proposed mega-dam has generated much controversy both within Tibet and with China’s downstream neighbors. Until recently, building a mega-dam at the canyon was thought too difficult, but the construction of the Qinghai-Tibet Railway has now made the project more feasible as the train enables China to transport the heavy equipment it would need for the dam’s construction. China has been actively damming many of Tibet’s rivers and lakes in recent years. Many Tibetans and many of China’s downstream neighbors have expressed concern about these projects. For instance, there has been much controversy surrounding China’s plans to dam Yamdrok Yumtso, or Scorpion Lake, which is thought to contain the spirit of Tibet. The People’s Liberation Army now guards the lake, and no civilians are allowed in the area. Visiting Tibet is about visiting breath-taking, wild landscape and the many monasteries that have defined the province’s culture, society and economy for the hundreds of years. Historically, Buddhism pervaded all aspects of Tibetan life, with the monasteries functioning not only as religious temples, but also as palaces, administrative centers and schools. Lhasa is the heart of Tibet. Its original character has changed over the last decades due to the significant influx of Han Chinese; in many ways, Lhasa now resembles any other recently developed Chinese city with concrete buildings and congested roads. 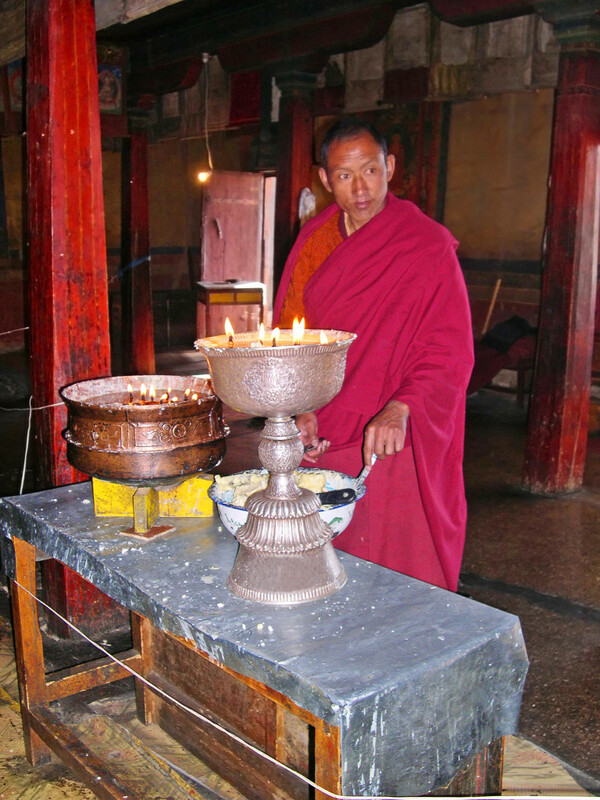 That said, its old town still retains a strong feel of traditional Tibetan culture, and it is not uncommon to see its pilgrims and monks swinging prayer wheels and prostrating themselves as they make their religious circuits. 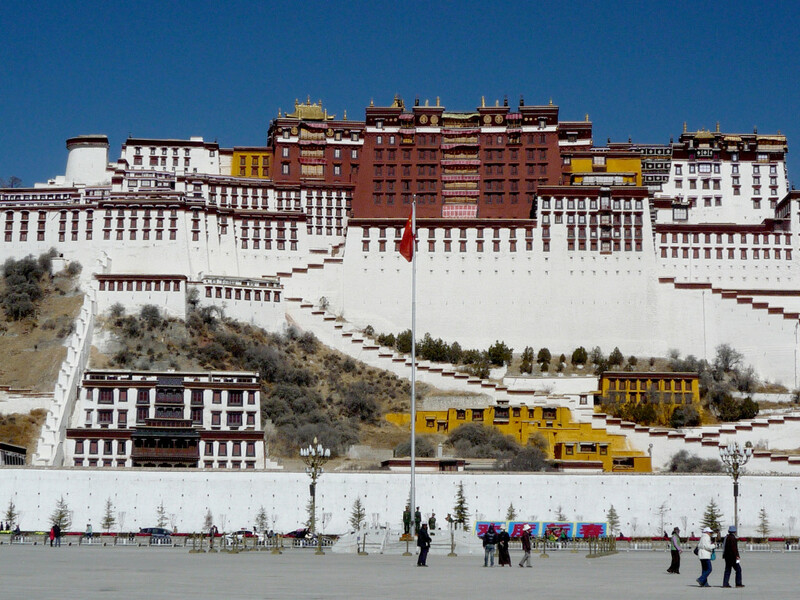 Lhasa is also home to the Potala Palace, once the winter home of the Dalai Lamas. At 3,676 meters above sea level, it is one of the most elevated ancient sites in the world. Thirteen stories high, and with over a thousand rooms, the Potala Palace was once the spiritual and temporal seat of Tibetan power. The first part of the palace was built in 631 and was then expanded over the centuries. The palace is composed of two parts: the Red Palace at the center and the White Palace as two ‘wings’ surrounding the Red Palace. The Red Palace is devoted to prayer and religious study, whereas the White Palace once served as offices for the local Tibetan government. The Samye Monestary was Tibet’s first monastery, and was the place where it was determined that Tibet would follow the Mahayana school of Buddhism. 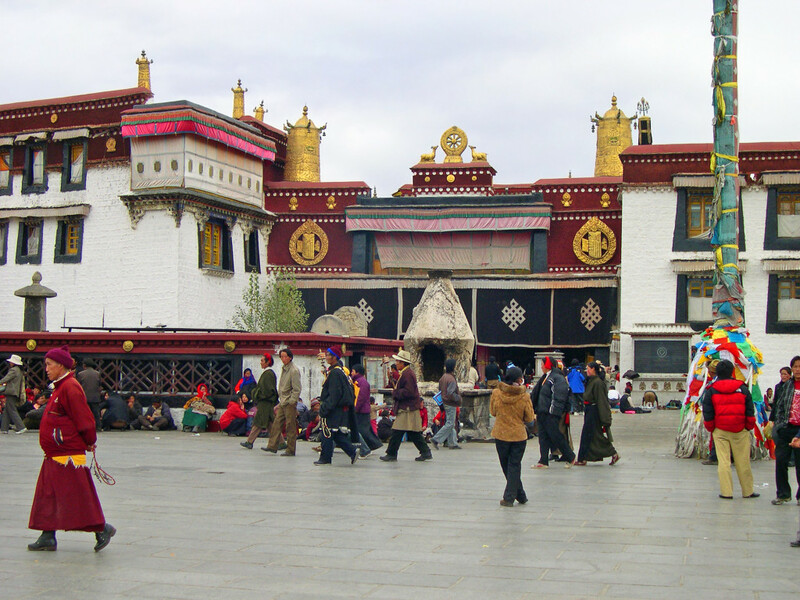 Situated in a stunning location east of Lhasa and architecturally impressive, the Monastery is still home to a large array of religious artifacts and other Buddhist treasures. Namtso Lake is an overnight jeep trip from Lhasa and offers, beautiful blue waters set against snow-capped peak in a pastoral landscape dotted with nomadic herds. Manasarovar is deemed to be so pure that by drinking from the lake, sins will be cleansed. Many swim in its chilly waters when not visiting one of the four monasteries that dot its shores. 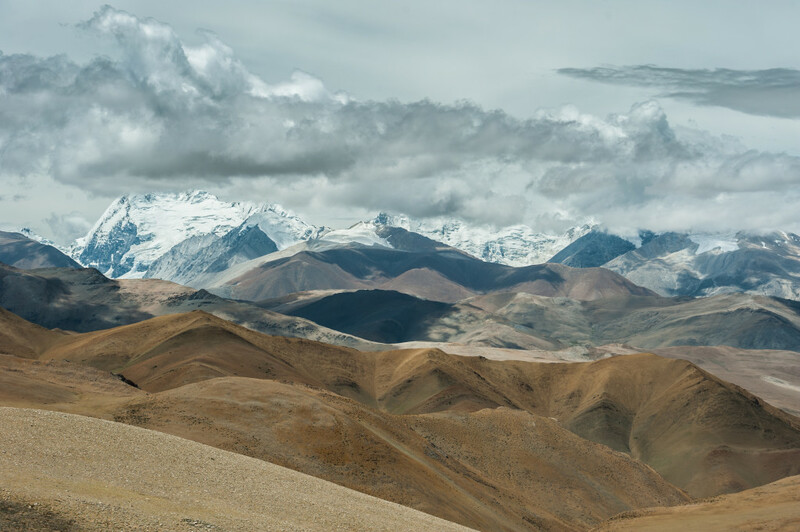 The Friendship Highway which goes for 750 km between Lhasa and the Nepalese border, offers stunning scenery and opportunities to visit the Tibetan towns of Shigatse, Gyantse, Rongphu Monastery – the highest in the world – and Everest Base Camp. The Camp is comprised of just a collection of tents and a tea house, but it offers stunning views of Mount Everest itself. 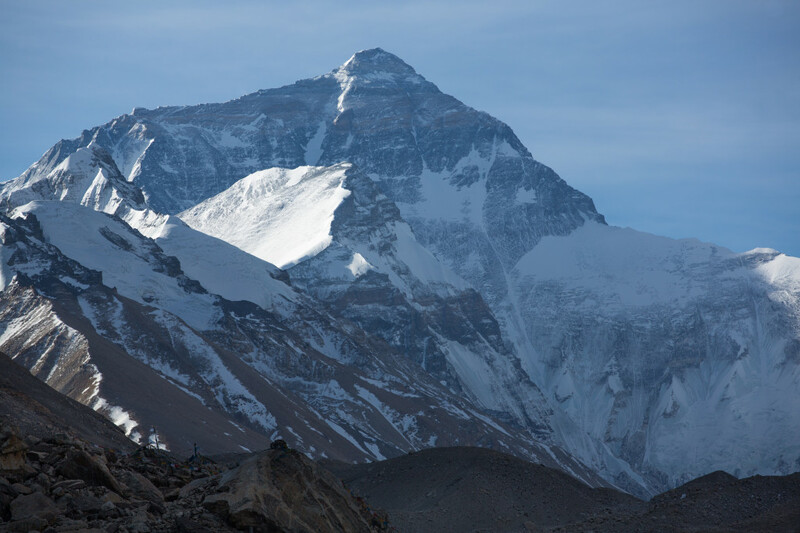 Standing at a total height of 8,848m above sea level, Mount Everest’s summit is located precisely on the border between Tibetan China and Nepal. It is also located in the heart of the Himalayas, the world’s youngest mountain range.